No so bright as expected, looking good only in the evening, green laser with same power much more brighter. 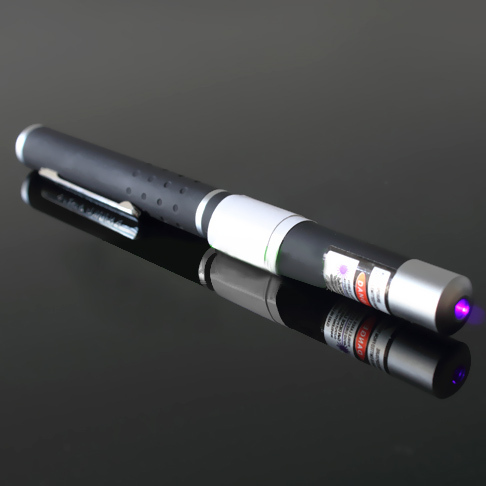 10mw 405nm purple light laser pointer pen with star cap head worked initially, stopped working within a day. It is of good construction and quality but has a low light intensity. Maybe it's the color I chose. Good, but the beam of light is weak, not the trace in the sky. These are not as bright as I hoped, but they are good quality and as bright as others.